Algiers is located on the Mediterranean Sea and in the north-central portion of Algeria. 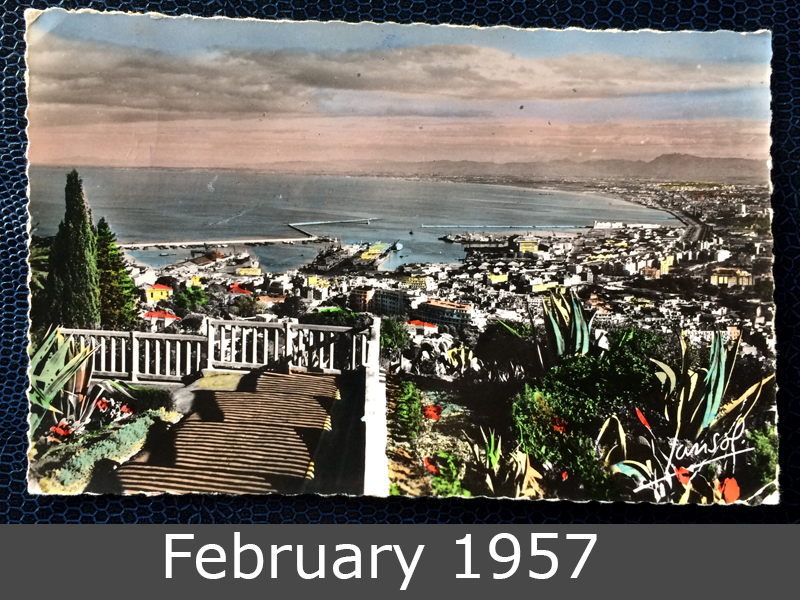 Sometimes nicknamed El-Behdja (البهجة) or alternatively Alger la Blanche (“Algiers the White”) for the glistening white of its buildings as seen rising up from the sea, Algiers is situated on the west side of a bay of the Mediterranean Sea. 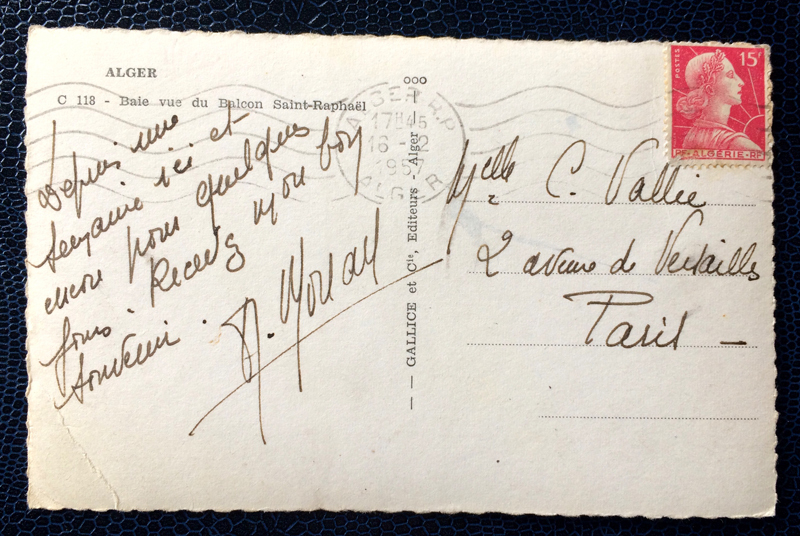 This postcard from february 1957 was sent one month after the beginning of the Algerian War!